Technology start-up Code Kingdoms has set its sights on creating a new generation of coders by teaching kids to program through gaming. Code Kingdoms was founded by graduates Hugh Collins and Ross Targett after they were spotted by Entrepreneur First, an investment programme that aims to find talented graduates to help it build ideas and eventually form technology start-ups. Code Kingdoms is now available online on desktop and mobile. In six months' time, the company plans to be generating revenue and to have a team of five on board. Four years ago, Targett began to teach computer science and STEM (science, technology, engineering and mathematics) subjects in schools, and continued to teach in schools after he joined Intel as a software engineer. He had previously specialised in traffic software and during his final-year university exams, his start-up, Twitraffic, was acquired. Targett holds a computer science and business degree from the University of Warwick. During his time as a teacher, Targett noticed that “children lacked knowledge about computational thinking”. He describes Code Kingdoms as “like Minecraft, but you code the world”. Collins described Code Kingdoms as a solution to the lack of fun educational games available to children that teach programming. 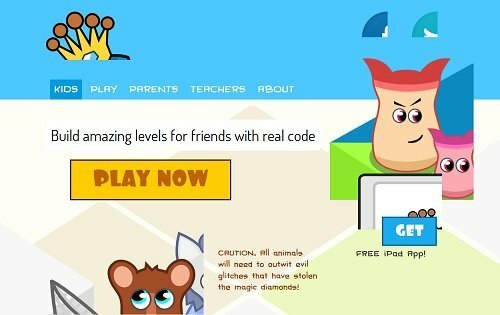 He said it allows kids to design their own worlds, which includes programming animals, for friends. Targett said an equal number of boys and girls are interested in the scheme. “It is gender neutral – no explosions or gore," he said. “Girls are better logical thinkers and will outperform the boys. He added that there were not many girls on his university course. “The culture of the degree is very boyish and that needs to be fixed,” he said.